At EverLine Coatings and Services, our Toronto traffic sign and bollard cover installation specialists can provide you with installation services and products to protect your property and keep the traffic around it running smoothly. 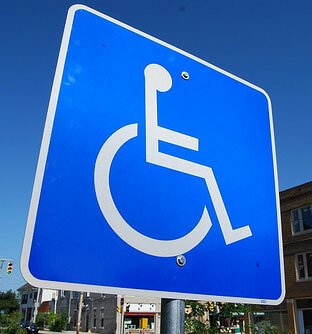 If you do not have the proper signage installed or an adequate amount of signage, you could be putting the users of your parking lot or property at risk. To improve the safety for motorists, pedestrians and the other users of your property or parking lot, our Toronto traffic sign specialists can install the proper signage to prevent the occurrence of accidents. The best way to ensure the safety of your tenants, employees or customers is by installing the right signage on your property. Our sign installation professionals are knowledgeable with the latest standards and regulations regarding Ontario traffic signs and can work with you to create a signage solution that will direct traffic safely. In addition to our Toronto road sign installation services, we also offer professional traffic bollard cover installation services. If you have bollards installed to protect your property, it is essential to install a reflective bollard cover to increase the visibility of your bollards and protect your property. At EverLine, our bollard installation experts can install reflective traffic bollards to ensure motorists on your property are able to see the traffic bollards that you have installed and prevent any damage from occurring to the traffic bollards or your property. We provide a variety of reflective traffic bollard covers in different colours to help you protect your property while meeting the safety standards for traffic bollards in Ontario. Our EverLine bollard cover installation experts will help you find the perfect traffic bollard covers for your business. At EverLine Coatings and Services, we are committed to delivering quality Toronto traffic sign and traffic bollard cover installation services to our clients. We aim to exceed our client’s expectations with each Ontario traffic sign and traffic bollard installation project that we complete. Our CORE quality system is one of our main differentiating factors that sets us apart from our competitors. Our commitment to the CORE quality system enables us to build a good working relationship with clients, remain transparent, and to always consult them to ensure the work we are completing is in their best interest. At EverLine Coatings and Services, we have three key values that set us apart from our competition. These key values are continually innovating our services, our quality is systemized, and we promise to always answer the call when we are needed. Our commitment to deliver on these values enables us to offer Toronto road sign and traffic bollard cover installation services that cannot be matched by our competitors. Every EverLine Coatings and Services client receives our best work, we are committed to working around their schedule to provide services when it is convenient, and we will always answer the call when you need our services. It is this commitment to delivering quality services that has established us as one of the best sign companies in Toronto. At EverLine Coatings and Services, we believe that having trained professionals to complete Toronto road sign and traffic bollard cover installation services is the key to success. To ensure quality results, we only send highly trained crews with years of experience to install signage and bollard covers on your property. We continually train all of our crews to ensure that they know the latest standards and regulations for Ontario road signs. It is this knowledge of Ontario traffic sign and bollard cover installation standards that have established us as the Toronto sign and bollard cover installation experts. If our EverLine Toronto road sign and traffic bollard cover installation specialists will be installing signage at your property in the near future, there are a few steps we ask you to take in advance in order to prepare. First, please ensure that the area that they will be installing Toronto signs or traffic bollard covers in has been cleaned and is free of any debris or obstacles that may exist. This ensures that they can work without any hazards or obstructions that could impede their ability to complete the installation. Also, to ensure the safety of our crews, please put up signage and notices to inform motorists that our Ontario traffic sign and traffic bollard cover installation experts will be working on your property. This will ensure that they are safe during the install. At Everline, we are committed to delivering the best possible value to each of our clients. Thanks to our years of experience installing Toronto road signs and traffic bollard covers, we know that no two projects are the same. Because of this, we assess your property and determine what your unique needs would be. We create an estimate for every project that we take on to ensure that we can deliver the most value possible while remaining within your unique budget. If you require an estimate for your upcoming Toronto road sign or traffic bollard cover installation project, please contact us for a free quote.